Reeves Hardware Co., a division of Reeves ACE Hardware, has been a trusted name in home building supplies, home furnishings, hardware, farm supplies, an array of recreation products and much more since 1928. The company was built on family values and a neighborly approach to business back when Lewis Reeves Sr. started the operation more than 87 years ago. Today, the same core principles and family involvement — 19 family members to be exact — remain central to Reeves Hardware Co.’s continued success and longstanding history. 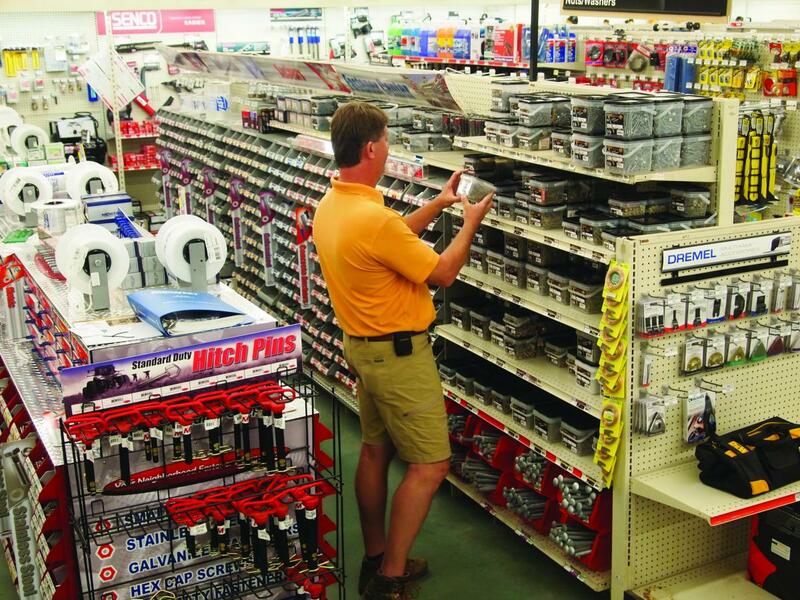 Today Reeves Hardware Co. has five locations — three under the Reeves Hardware Co. name, including the original store in Clayton, one in Dillard, Georgia, and a building supply, hardware, lawn and garden and sporting goods store in Highlands, North Carolina. 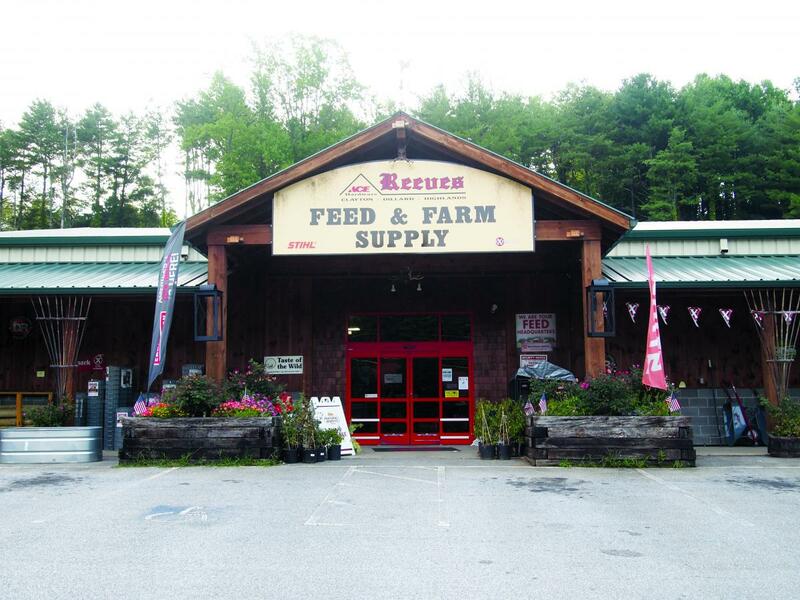 Two other stores — Reeves Building Supply and Reeves Feed and Farm — also exist under the Reeves umbrella. The company’s Highlands location opened in the mid-1940s. Located on Main Street, this location serves as the go-to store for building materials, hardware, lawn and garden supplies, sporting goods and housewares in Highlands. The Dillard location opened in 1995 as a traditional hardware store, also offering sporting goods, lawn and garden and building materials. Sharon says the company’s niche really depends on the type of customer because Reeves Hardware Co. has a huge selection, comparable to a big-box store. “We’re a typical ACE Hardware outlet, but with many add-ons,” she says. “All of our stores are unique shops. Many large-scale, multimillion-dollar second homes in the area are supplied and furnished by the products carried at the Reeves Building Supply store. “We provide a lot of high-end home and building products because there is a market in this area for secondary homeowners,” says Sharon. “We’ve supplied building products and furnishings for projects that include houses for NFL and NCAA football coaches, country music stars and several executives from Fortune 500 companies. Sharon says the breadth and depth of building supplies makes Reeves Building Supply a one-stop shop for even large projects. “You can build your dream house from start to finish from Reeves Buildings Supply, and then furnish and decorate your house through our furniture and decorating department,” she says. Reeves Building Supply offers building materials, windows, doors, masonry product, roofing supplies, plywood and more — all within 16,000 square feet of retail space stocked with supporting tools, equipment, paints, stains, plumbing, electric supplies and hardware. It’s this willingness to go the extra mile for the customer that has helped Reeves Hardware Co. sustain business for nearly 90 years. “Even as the big-box stores and other superstores come in, our doors are still open because our No. 1 motto is to put the customer first,” says Sharon. After 87 years, all five Reeves Hardware Co. stores continue to draw local, loyal customers through a neighborly approach to business and a familiar face waiting to lend a hand. Great Southern Wood Preserving Inc.